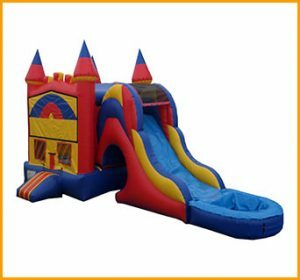 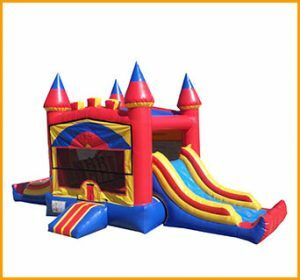 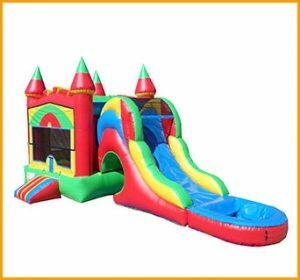 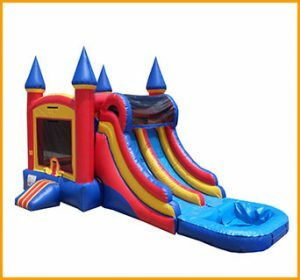 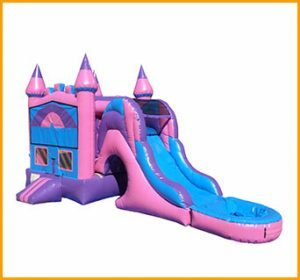 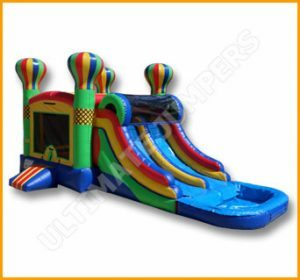 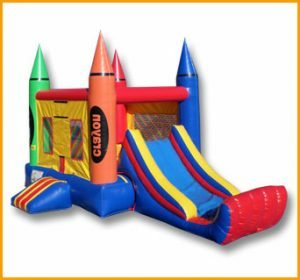 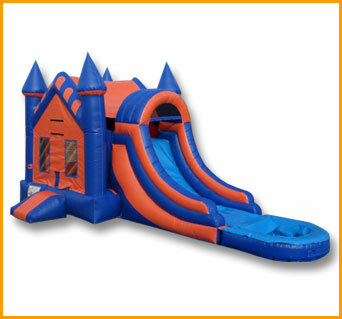 The feeling of royalty and royal adventures await all little ones as they play on this inflatable 3 in 1 wet dry multicolor castle module combo. 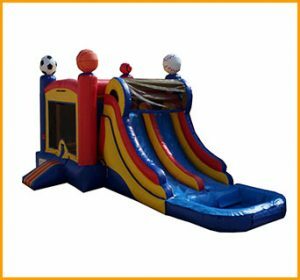 People take pride in their favorite sports teams and often use their colors on apparel, cars, accessories, amusement pieces and so on. 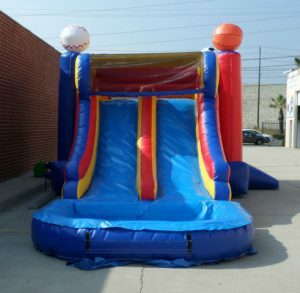 This is a perfect example and happens to have a certain university color scheme. 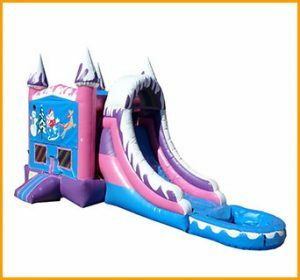 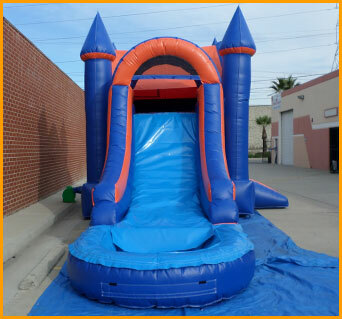 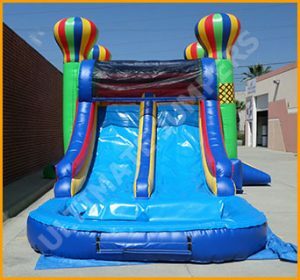 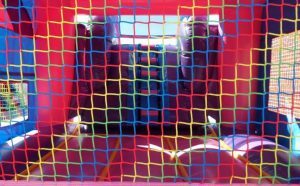 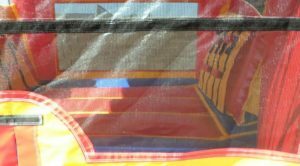 This 3 in 1 wet dry castle inflatable combo has both a bouncer and slide can be used with or without water all year round. 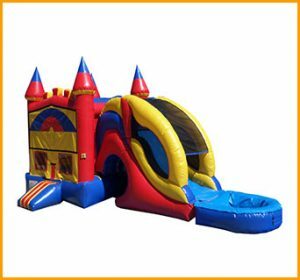 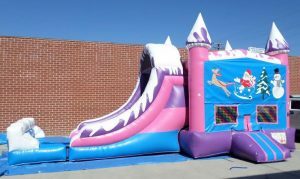 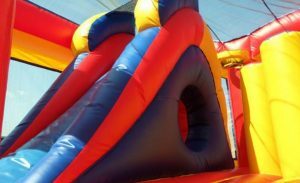 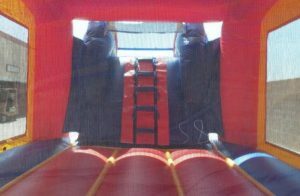 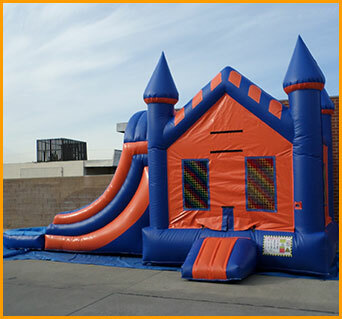 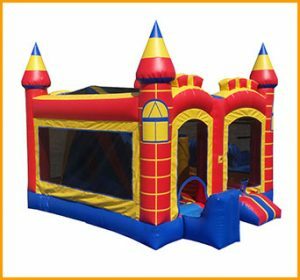 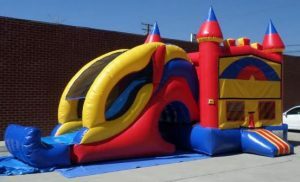 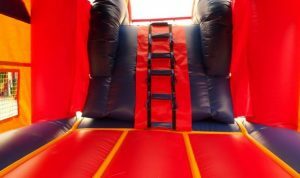 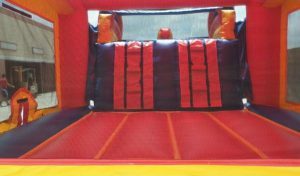 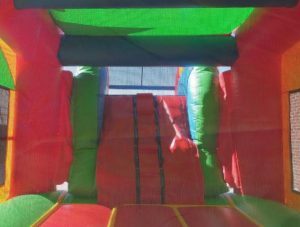 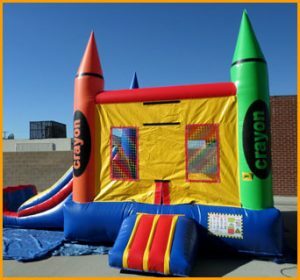 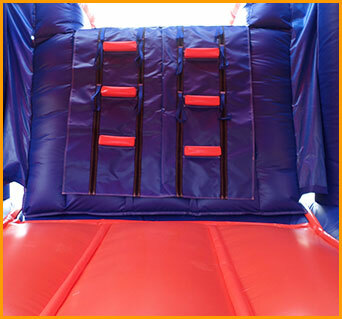 This inflatable castle combo can be used both indoors and outdoors.